Chelsea’s BA Interior and Spatial Design programme is delighted to announce it will be working with Tate Modern this year to help launch their brand new extension building. Alongside 50 artists and organisations, students will be part of the programme for the new space entitled Tate Exchange, which aims to explore wider social issues through art. Starting on 28 September 2016, the Tate Exchange programme will run for nine months of the year and will be developed by Tate staff and invited artists and practitioners in conjunction with associate institutions, partners and the public. An ‘open experiment’, the project will occupy an entire floor of the new Switch House building, opening up the museum – and the world of art – to new audiences. The full list of organisations working on this exciting programme was announced last week, and more details about the activities planned will be available later on in the year – so watch this space for updates about our students’ work! Tate has invited more than 50 organisations from a wide range of fields well beyond the gallery’s normal reach to become associates of Tate Exchange. They range from a small charity in the Welsh Valleys to a community radio station in East London, via universities, healthcare trusts, volunteer groups and many more. This group will help to programme and run the new space. Working in a spirit of generosity, openness, trust and risk, the associates will collaborate with one another around an annual theme inspired by the art on display at Tate Modern. Tate Exchange will in time expand its group of associates to include more partners from the UK and abroad, while consistently seeking to engage audiences which are new to the museum. The first year’s theme will be ‘exchange’ itself, led by the artist Tim Etchells, alongside other participating artists such as the Guerrilla Girls. The programme will explore new ways of thinking about art and its value to society, and examine the very notion of the museum in today’s world and its changing relationship with the public. Find out more about Interior and Spatial Design at Chelsea on our course pages. 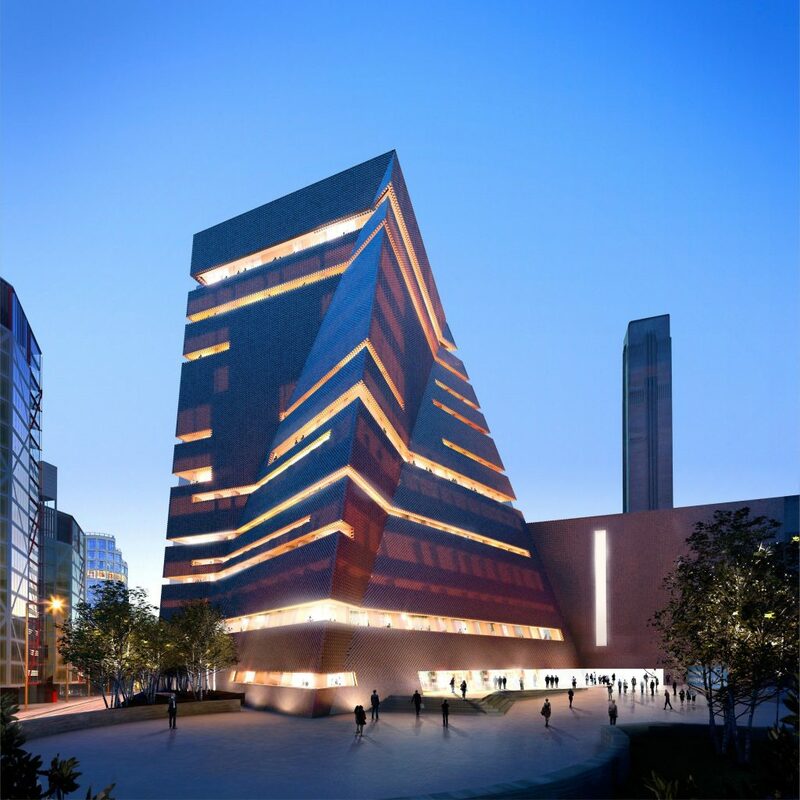 Find out more about Tate Modern’s new building, which opens to the public on 17 June this year, on their website. Find out more about Tate Exchange.